The Bluethroat is one of the smallest members of the Thrush family measuring 5.5 (14 cm) inches in length. The colorful blue throat pattern distinguishes this breeding male from other species. Nests are found on the tundra in thickets near water. 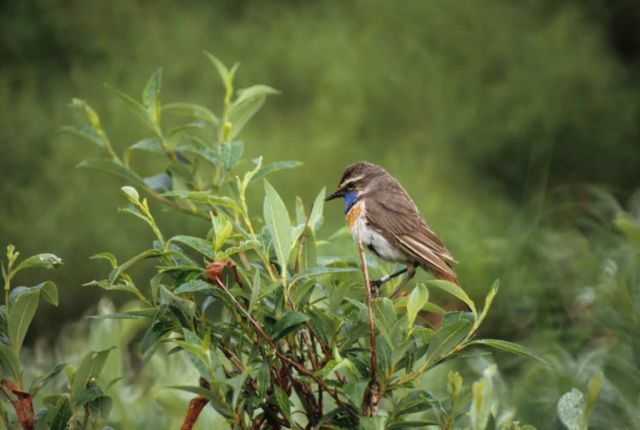 The Bluethroat is a migrant bird found within the north and northwestern areas of Alaska and Siberia.